I’ve just finished a truly memorable, superb, could not put down page turner of a book. One of those few and far between books that you really don’t want to end. 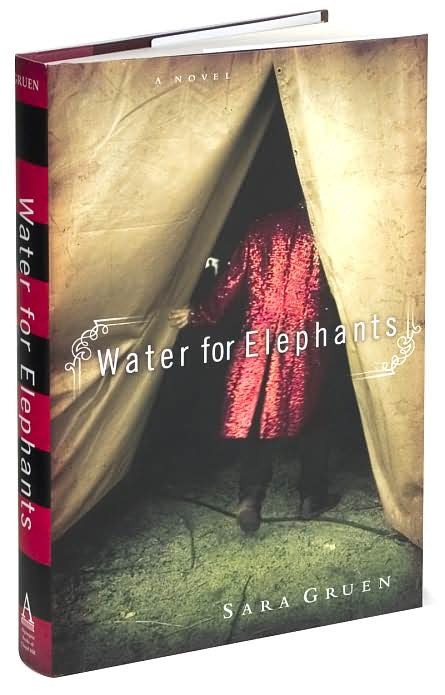 Water For Elephants by Sara Gruen beautifully unfolds a story of 1930’s touring circus life in the 1930’s. Hundreds of people strong, the travelling community moved by train, setting up a gig at the crack of dawn, breaking down at by dusk then moving on, through the night in trains. A time when freak shows and animals were still a major part of the show, a time when alcohol was illegal (yet still readily obtainable for those in the know), a time when American was racked by depression, a time long since forgotten. I’m so glad I picked up this exquisitely and most believably researched and fantastically written book less than a week ago. The book I read prior to this was White Teeth by Zaidie Smith which seemed to take me ages to get through.